God spoke all these words, saying, "You shall not make for yourselves an idol, nor any image of anything that is in the heavens above, or that is in the earth beneath, or that is in the water under the earth: you shall not bow yourself down to them, nor serve them, for I, the Lord your God, am a jealous God, visiting the iniquity of the fathers on the children, on the third and on the fourth generation of those who hate me, and showing loving kindness to thousands of those who love me and keep my commandments." Exodus 20:1,4-6 NHEB. Previous Bible study lesson: 1st Commandment #5.01. 1) What is the Second Commandment? 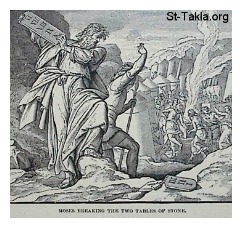 2) Why does the Second Commandment exist? Have you ever bowed down to anyone or anything in worship? If so, who or what was it? Has your heart ever given love and commitment to anyone or anything more than God? There are some extremely difficult and sensitive issues to deal with in this 2nd Commandment Bible study lesson. You'll be challenged to examine your heart and activities as we travel deep into the full intent of the second commandment. We'll learn lots about God, his nature, and the worship that is due Him. There is a lot riding on this particular commandment, because if you're guilty of sinning against it your children could suffer along with you. Who wants THAT on their eternal record? I know you don't. Plus, we should want to do the things that please God no matter the ramifications to us. Let's get started on the quest to fully understand and appropriate God's 2nd commandment. What Is the 2nd Commandment? 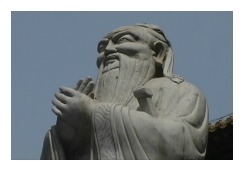 The Second Commandment forbids the making and worshiping of idols. An idol is an object used to represent the One True God. People disregard the 1st Commandment; therefore, this 2nd commandment becomes necessary. Let's look at why idolatry is so very, very wrong. God the Father is incomprehensible to a human mind because of his spiritual nature and immensity. Further, he cannot be represented by anything that a person can create. Our minds and abilities cannot possibly grasp the magnificence of God, so we shouldn't begin to craft something that portrays him. God is spirit, i.e. invisible (Deuteronomy 4:12) and he is infinite, i.e. beyond size and shape (Colossians 1:15; Hebrews 1:3). Those two attributes together (but there are many others) make representation of him a hopeless endeavor. A person trying to fashion something tangible in order to give God "form" is who this 2nd commandment targets. Idolatry always misrepresents God. Idolatry is false testimony about the True God. Worship directed towards an object, even when said object "represents" God, is strictly forbidden. Idol worship is wrong in every regard. Why does the 2nd Commandment exist? For the reasons already mentioned and because God is a jealous God. He demands his creatures acknowledge, admire, and adore him through spiritual worship (John 4:23-24). Bowing down in worship before angels, humans, animals, things of nature, or heavenly bodies is unacceptable. It is blasphemy of the highest order. Idolatry is a very serious matter, so let's make sure we thoroughly understand its practices. There is nothing better than a biblical illustration to grasp an enormously sinful activity (1 Corinthians 10:6). God uses examples from the Scriptures to teach us lessons, so we must read our Bible to learn from past mistakes. Listen to Paul stress the point, "Now all these things happened to them by way of example, and they were written for our admonition, on whom the ends of the ages have come" (1 Corinthians 10:11). Ephesians 2:7 is another passage stressing our duties to read about those who have gone on before us. Abraham, father of the chosen ones, had a father named Terah who worshiped other gods (Joshua 24:2). God saved Abraham from the detestable practices of his father. Rachel, Jacob's bride, actually stole idols from her father when she left with Jacob (Genesis 31:32-34). Their idols were called teraphim. For our final and most graphic account of idolatry we'll look at Aaron's idolatry while Moses was meeting with God on the mountain. When the people saw that Moses delayed to come down from the mountain, the people gathered themselves together to Aaron, and said to him, "Come, make us gods, which shall go before us; for as for Moses, the man who brought us up out of the land of Egypt, we do not know what has become of him." Aaron said to them, "Take off the golden rings, which are in the ears of your wives, of your sons, and of your daughters, and bring them to me." All the people took off the golden rings which were in their ears, and brought them to Aaron. He received what they handed him, and fashioned it with an engraving tool, and made it a molten calf; and they said, "These are your gods, Israel, which brought you up out of the land of Egypt." When Aaron saw this, he built an altar before it; and Aaron made a proclamation, and said, "Tomorrow shall be a feast to the Lord." Exodus 32:1-5 NHEB. God called these people "stiff-necked" because of their hard hearts (Exodus 32:9). They had witnessed the awesome power of God Almighty while fleeing slavery in Egypt, but already they were attributing those great miracles to other gods. Aaron himself was terribly faithless, too, attempting to create a false idol and claim it was meant to represent God. Do you realize cows are very stupid? 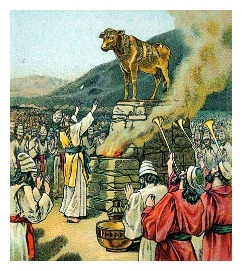 The Israelites actually built an idol of a calf to represent God. I raised cattle when I was young, and believe me when I say they are the dumbest animals on earth. I would look into their eyes and see no brain activity happening inside their heads. They could eat, drink, relieve themselves, and sleep, and that was about all. Aaron used a dumb cow to represent God! We do the same thing, but it just looks a little different. Jesus spoke little of idolatry, maybe because the Hebrews' physical practice of idol worship was at a low ebb during his era. However, we can turn to his New Testament authors for more examples of how people committed idolatry outside the Holy Land's boundaries. During this era a shift had taken place in regards to physical idolatry. As Christianity expanded into lands previously rejecting God, idol worship was plentiful. Paul witnessed the practice in Athens, Greece, "He saw that the city was given over to idols" (Acts 17:16). We know the Romans practiced idolatry, as well. After Christ's New Covenant was enacted, we see that false worship became a matter of the heart (Ezekiel 14:3). Christians don't usually practice explicit idolatry now by bowing to statues, but they worship false idols in another way. For example, Paul says, "Put to death, therefore, whatever is worldly in you: sexual immorality, impurity, lust, evil desire, and covetousness, which is idolatry. Because of these, the wrath of God is coming on the sons of disobedience" (Colossians 3:5-6). We're playing a whole new ballgame now - it's spiritual. Biblical counselors call these internal passions "idols of the heart," i.e. things to which we cherish and devote much of our time and resources. Ephesians 5:5 says much the same, "Know this for sure, that no sexually immoral person, nor unclean person, nor covetous man, who is an idolater, has any inheritance in the Kingdom of Christ and God." Spiritual worship has brought us to a higher level of spiritual commitment. God sees our hearts, and actually lives in our hearts (Romans 8:9-11). So, it is vitally important that we rid our hearts of these internal idols that steal the love that is meant for God alone (Romans 8:5-8). God desires biblical, spiritual worship. He is due acceptable worship by his creatures. "Remember all the commandments of the Lord, and do them; and that you not follow after your own heart and your own eyes, after which you use to play the prostitute; that you may remember and do all my commandments, and be holy to your God." Numbers 15:39-40 NHEB. Discipleship, i.e. following Christ, changes your selfish heart into a heart devoted to God. You become a slave to Christ (Romans 6:15-18). With your heart's conversion to following Christ these following activities must be stopped. False, unbiblical worship (Revelation 2:14). 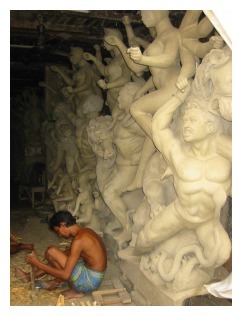 Making an idol to represent God (Exodus 32:5). Worshiping any idol, whatsoever (Exodus 32:5). Service to any god other than the True God (Isaiah 65:11). Superstitious resources, and the practice of superstition (Acts 17:22). Simony, i.e. attempting to purchase God's power and blessings with money (Acts 8:18). Sacrilege, i.e. theft: not giving tithes & offerings due God (Malachi 3:8). This list has been kept short because of space limitations; therefore, a thorough reading of God's word is necessary for a deeper understanding. We're to properly worship God which should go without saying. He is a God that demands worship and praise. He also wants his glory spread throughout the earth by the changed lives of his chosen ones. The following list is critical in your observance of God's command to worship him personally and corporately. Worshiping God as he biblically demands (Matthew 28:20). Offering prayers and thanksgiving to God (Philippians 4:6). Reading of God's Word (Acts 15:21). Preaching of God's Word (2 Timothy 4:2). Hearing & applying God's Word (James 1:21-22; Acts 10:33). Baptism into Christianity (Matthew 28:19). Remembering Christ through communion, aka Lord's Table, Lord's Supper (1 Corinthians 11:23-30). Fasting and repenting (Joel 2:12). Worship God through singing of psalms and spiritual songs (Ephesians 5:19). Exercising spiritual gifts in service (Romans 12:4-8). Giving tithes & offerings (Matthew 22:21). God is Spirit, and his chosen ones worship him "in Spirit" anywhere, anytime (John 4:23-24). God fills a believer's heart and makes his presence known through the heart, mind, and soul (1 Corinthians 3:16-17). The relationship is intensely personal, and cannot be represented through idolatry. Joining Christ's earthly Church is a must for anyone following Jesus Christ as a true disciple. God uses the local body of believers to fellowship and spiritually strengthen one another. Unity of believers is critical and happens within the local church (Philippians 2:1-5). Believers are to have everything in common and must seek strength in numbers to advance the Kingdom of Christ on this earth (1 Corinthians 12:1-31). You have, and will again, break this 2nd commandment, which means you sin against God's Law. You are guilty of transgressing against all of his Ten Commandments, because they are one unit (James 2:10). That stops you from gaining a relationship with God, and entering his heaven to eternally live with Jesus Christ. Your sin condemns you as a child of God's wrath (Ephesians 2:1-3). By your efforts you have earned judgment and eternal condemnation. Fortunately, Jesus Christ came as a human and perfectly obeyed this 2nd Commandment, and all of God's Laws. He also offered himself up as a human sacrifice for YOUR sins, in order to appease God's burning wrath that was upon YOU. Jesus did all that for YOU. Your obligation to God is to repent of your sins, and place 100% faith in him alone as your holy and righteous God. The 1st Commandment says you must love Him more than anything else, and the 2nd Commandment says you must worship him properly, both externally and internally. Are you devoted to God through his Son? Have you died to your old self, and entered God's family as an adopted son or daughter? The secret to perfectly obeying this second commandment is to trust in Jesus Christ alone as your Lord and Savior (2 Corinthians 3:16-18). Repentance gives you a second chance at keeping the second commandment; and faith gives you a perfect record on judgment day, thanks to Jesus Christ alone. Next Bible study lesson (click): 3rd Commandment #5.03. 1) What is an idol as defined by the Bible? Name some modern idols, both in and out of Christianity. 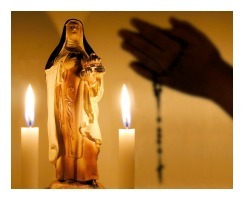 2) Are pictures and statues of Jesus Christ forbidden by the 2nd Commandment? Why, or why not? 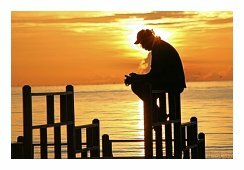 3) What or who can a Christian's prayers be directed towards? Why? Therefore let him who thinks he stands be careful that he does not fall. No temptation has taken you except what is common to man. God is faithful, who will not allow you to be tempted above what you are able, but will with the temptation also make the way of escape, that you may be able to endure it. Therefore, my beloved, flee from idolatry. 1 Corinthians 10:12-14 NHEB. We know that we are of God, and the whole world lies in the power of the evil one. We know that the Son of God has come, and has given us an understanding, that we know him who is true, and we are in him who is true, in his Son Jesus Christ. He is the true God and eternal life. Little children, keep yourselves from idols. 1 John 5:19-21 NHEB. But as for the cowardly, the faithless, the detestable, as for murderers, the sexually immoral, sorcerers, idolaters, and all liars, their portion will be in the lake that burns with fire and sulfur, which is the second death.” Revelation 21:8 ESV. That to which your heart clings is your god. Whatever man loves, that is his god. For he carries it in his heart; he goes about with it night and day; he sleeps and wakes with it, be what it may - wealth or self, pleasure or renown. You don't have to go to a heathen land today to find false gods. America is full of them. Whatever you love more than God is your idol. There is nothing so abominable in the eyes of God and of men as idolatry, whereby men render to the creature that honor which is due only to the Creator. O Lord, how could I have been so foolish, as to give my heart to something else? Please forgive my utter sinfulness. Father, please help me learn how to worship you properly. Show me how to please you through my worship and service. Lead me to a local church who loves you, so I can join with my brothers and sisters in shining your light to our community. God, clean out my dark heart of its idols. Shine your light on them and make them scurry out like the cockroaches they are. Release me from these worldly loves, these things that steal my love that's meant for you alone. Save me, Lord, and hear my plea for holiness. Thank you for teaching me so much about you through this 2nd Commandment. I love you and praise your blessed Name. In Christ, Amen. Share on Facebook below and click for your Free Printable Bible Study Lesson: 2nd Commandment. 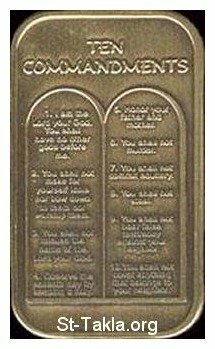 Click: Free Printable List of the Ten Commandments. Consider a Donation to GraspingGod.com. Thanks! Special Note: I'm grateful to Big Book Media & Free Bible Images, stock.xchng, Morgue Files, and Stock Photos For Free for the use of their photos for the Second Commandment Bible Study Lesson.